In this, and the next three blog posts, we will cover most of the commonly used tools and processes for talent acquisition starting with the job posting and behavioral selection interview. By incorporating these tools into your process, you can expect to see better job fit for new candidates, improved retention and increased performance. A template is developed to define how competencies will be reflected in notices regarding the requirements of jobs to be filled. As the job competency profiles are completed, sample notices are developed for the varied types of jobs / roles. For entry-level jobs and for jobs in which there are many incumbents, a standard is applied based on the job competency profile and is used consistently in screening and selecting candidates. Interview question banks –Interview questions can be designed to assess target proficiency levels within the organization’s competency dictionary. In this way, pre-established well-designed questions are available for use within the organization’s interview question bank. Questions can then be drawn from the bank based on the job competency requirements and configured into standard Interview Guide(s) for use as vacancies are created. The underlying premise of these types of questions is that past performance is the best predictor of future performance. These are the most commonly used questions and have been shown by research to be the most reliable, valid and defensible type of selection interviewing approach, provided interviewers are well-trained in this methodology and apply it in a standardized manner based on true competency requirements of the target job. The underlying premise of these types of questions is that if the candidate understands how to deal with situations related to the competency, then they are likely to apply the correct behaviors in the workplace. These types of questions have been shown in the research to be also reliable and reasonably good predictors of future work behavior; however, they have been shown to be somewhat less valid predictors of good job performance than behavioral questions. They are most useful when the candidates have not had any direct work experience or opportunities in the past to demonstrate behaviors related to those required for successful job performance in the target job (e.g., conflict resolution skills of the type that would be required in law enforcement situations). 3. Knowledge questions: Deal with the technical or professional knowledge required to effectively perform the duties of the job. They could be incorporated in tests or assessment tools designed for this purpose, but are often incorporated in the interview to allow the interview panel to explore the candidate’s technical or professional knowledge and skills. Follow-up questions can be asked to explore the candidate’s knowledge / skills in more depth, as needed. Template behavioral interview guides can be developed to address the job competency profile requirements that are to be addressed through the interview. 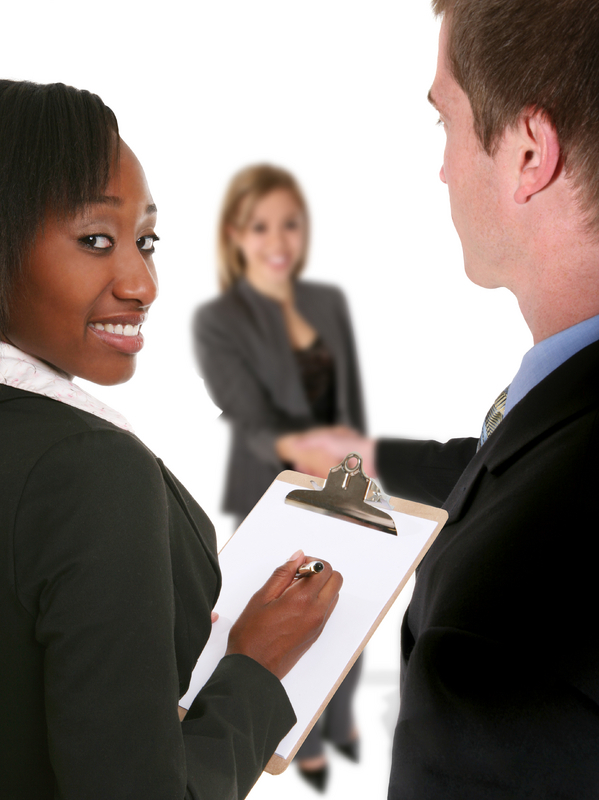 These are often developed in situations where the organization wishes to standardize the interview process for certain types of jobs and roles – for example, entry level jobs, situations where there are many workers performing essentially the same job (e.g., call center agents; front-desk clerks; etc.). These are developed and applied rigorously by all hiring authorities within the organization, no matter where they are located. In this way, all positions covered by the same job description and job competency profile are being staffed using a uniform process based on well-researched job-related standards. These guides follow best practices and reflect the need to gather information about the past performance, accomplishments and achievements of candidates that best predict the candidates’ abilities and potential to perform in the target job. The next blog in this series examines more commonly tools used in recruitment and selection. Sign up to our blog’s mailing list through the form on the right-hand side to receive the rest of the series in your inbox.